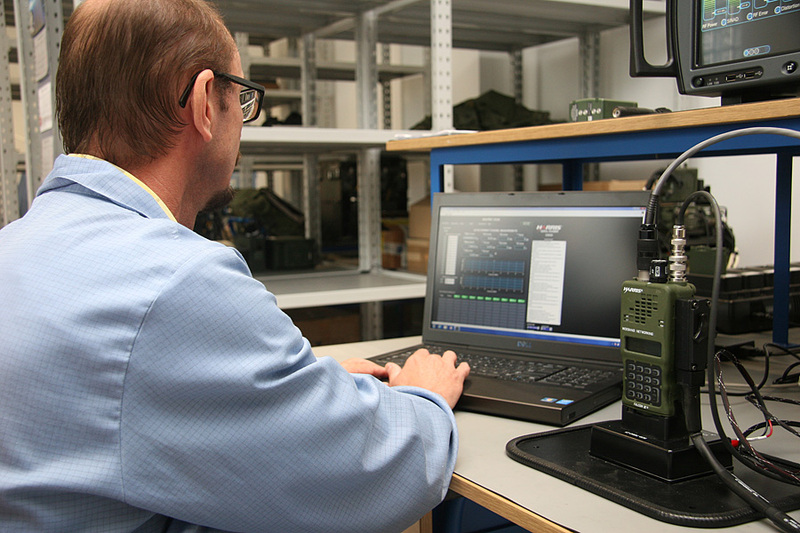 Military Communication Works No 2, as a contractor of modern solutions of information exchange in command and battle means systems, from the beginning (The Sixties of 20th) provides service, renovation and modernization, developed by growing needs and requirements of users. 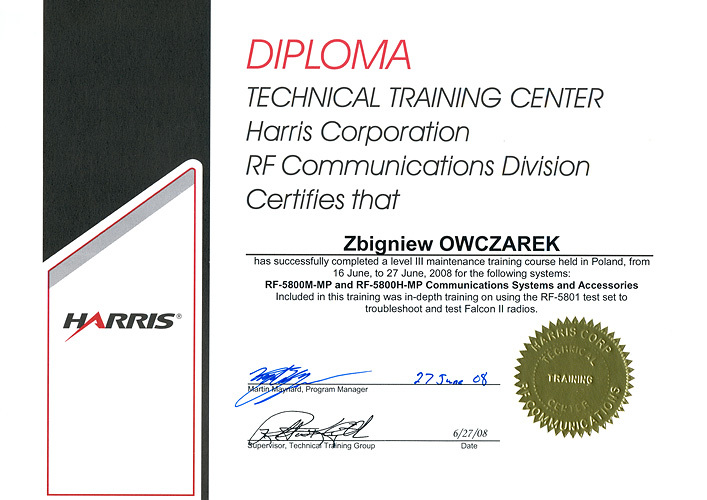 In 2003, reacting on growing demands of our Clients, we accessed proffesional service of radio technology equipment – Harris Corporation. In the same year, we entered to conclude a contract with American contractor, that concerned technical assistance (Technical Assistance Agreement) in a field of technical service and training communication systems. This agreement has been currently renewed and the range of assistance broadened. In the same year (2003), we gained first authorization for providing service. 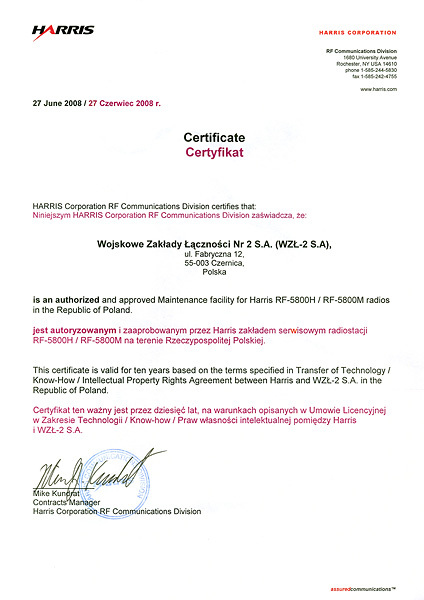 Since 2008 Military Communication Works No 2 has been an exclusive and the only one in Poland authorized and approbated service works of communications systems of Harris Corporation. We provide currently updated know-how, modern and perfectly equipped diagnostic background and very experienced personnel. We are entitled to provide authorized service of the III kind. 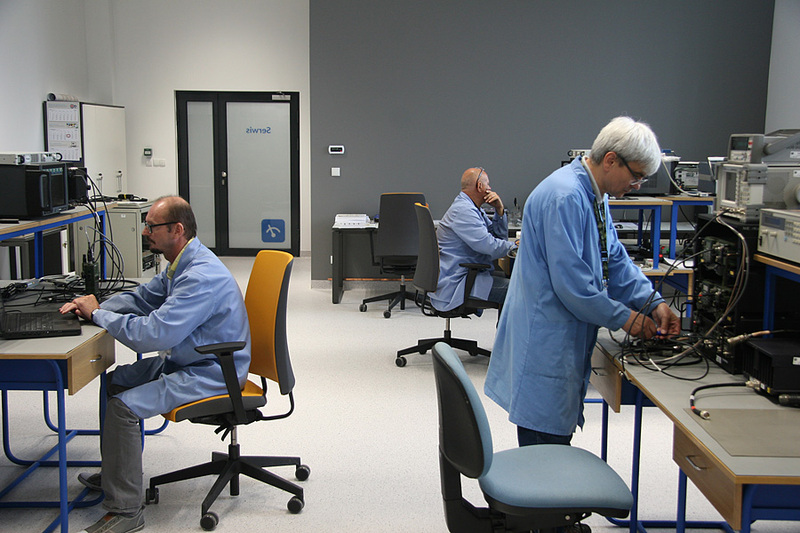 WZŁ renders proffessional service both during guarantee and post-guarantee period. Thanks to close cooperation with the producer, we systematically broaden our offer and improve skills of our personnel. 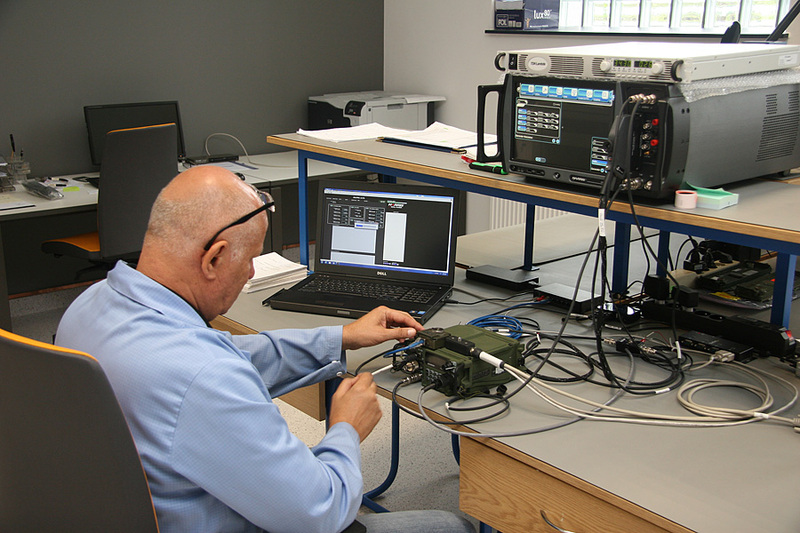 We make eve ery effort to deliver world top standard service – both for new products and those of former generation. Using global experience, knowledge of the producer and potential of our crew, we work in a fast, simple and proffessional way.